Survey: Parents Holiday Spending Of $422 Per Child Means Many Are Overextending! A survey conducted for T. Rowe Price confirms what many of us already knew…When it comes to holiday gift buying parents may spend money they do not have to make their children happy! A quarter of parents are on the naughty list for how they funded holiday spending: 25% of parents have at some point pulled from either their retirement account (11%) or emergency fund (14%) or taken a payday loan (11%) to cover holiday spending. But the majority of parents are on the nice list for holiday savings: 68% of parents save for the holidays throughout the year. And most parents who use credit cards for holiday spending pay them off quickly: 56% of parents use credit cards to pay for their holiday spending, and 61% of them pay off their holiday expenses in three months. A minority of them (16%) take longer than six months to pay off holiday credit card bills. Parents spend on kids’ holiday gifts: The average amount spent on a child ages 8–14 was $422 (median: $300). 34% of parents spent $500 or more on their 8 to 14 year old child. Millennials are more likely to save for the holidays….and overspend: 83% of millennials save for the holidays throughout the year compared with 67% of Gen Xers and 50% of baby boomers. But they are also more likely to say that they never stick to a budget (69% of millennials vs. 58% of Gen Xers vs. 42% of baby boomers) and say that they try to buy everything on their kids’ lists no matter how much it costs (75% of millennials vs. 50% of Gen Xers vs. 33% of baby boomers). If you’re buying or refinancing real estate in 2017 you CAN potentially save money when it comes to the title insurance portion of your closing costs! Read ‘Title Insurance: Always Compare Apples To Apples! (Chart)’ here! Questions or comments? 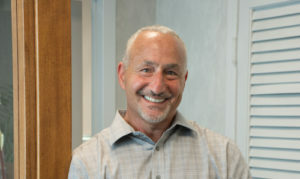 Hallmark Abstract Service President Michael Haltman can be reached at 516.741.4723 or mhaltman@hallmarkabstractllc.com.